Upton House and Gardens, Warwickshire was once owned by the 2nd Viscount Bearstead. Collect a timed ticket for the house from the Land Agent’s office and discover how Lord and Lady Bearsted decorated the house to suit their taste. Outside, there’s plenty to enjoy in the gardens and surrounding landscape. Wander across the large lawns or take a look at the terraced borders, elegant stone staircases, rose garden and rare kitchen display garden. Since 1985, Upton House and Gardens have been holders of a National Collection of Asters. Three important species are grown here – A. amellus, A. cordifolius and A. ericoides and many cultivars. 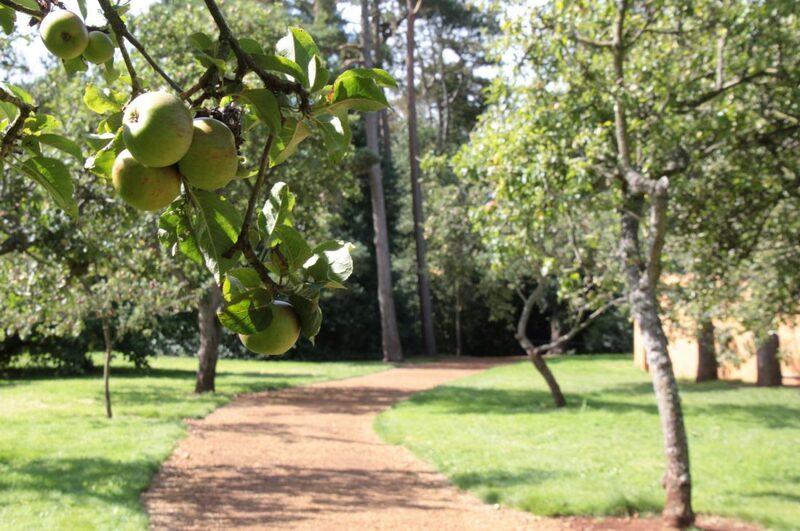 From 2019, the orchard will also be known as a dedicated Silent Space where visitors can spend a few minutes enjoying the sounds of nature. Turn off your phones and immerse yourself in the spectacular surroundings. What can you see? What can you hear? What can you smell?